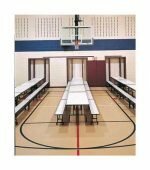 Whether it’s an activity table, computer table, or cafeteria table – no matter what your needs are Centar has the right table for your school or business. We offer the highest quality tables at an affordable price. With our outstanding customer service and large selection of tables you can count on Centar. Centar offers tables from the most reputable manufacturers in the industry.